DEW-SCENTED - Relentless Thrash Metal from Germany - DEW-SCENTED » Testament & Dew-Scented shows NOT happening! DEW-SCENTED - Relentless Thrash Metal from Germany - DEW-SCENTED » Testament & Dew-Scented shows NOT happening! Home > NEWS	> Testament & Dew-Scented shows NOT happening! Testament & Dew-Scented shows NOT happening! 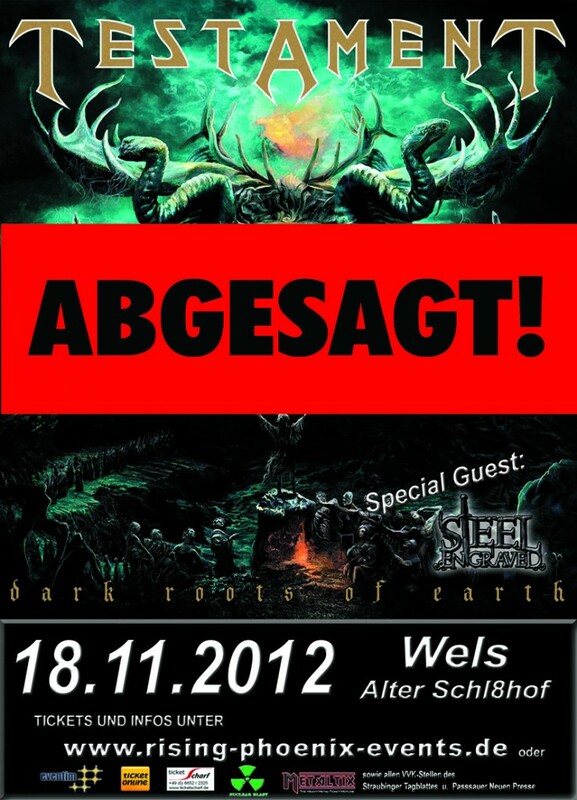 Testament & Dew-Scented Shows abgesagt! Festival Dates 2013 confirmed! More Tour Dates Confirmed!